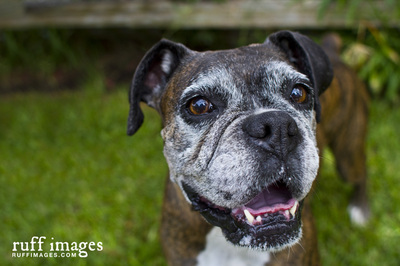 Meet Annie, one the cutest 6-7 year old pocket Boxer girls you’ll ever see. She is a 40 lb brindle girl with a button nose and happy as a lark. Just say her name and her little nub goes a mile a minute. 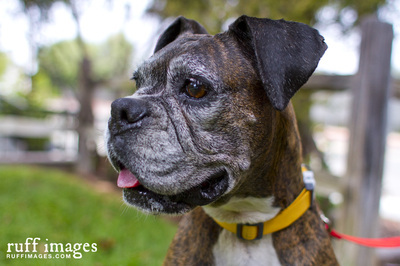 She is a gem with her elegant perfect behavior combined with the essence of Boxer. 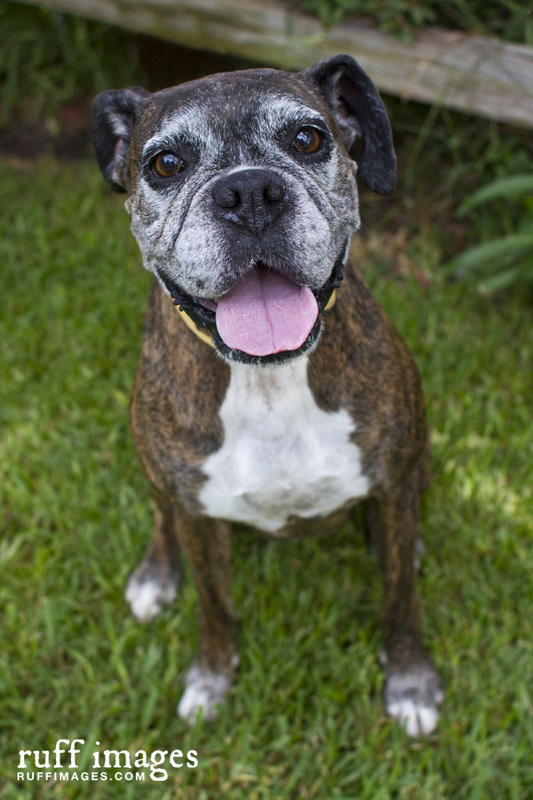 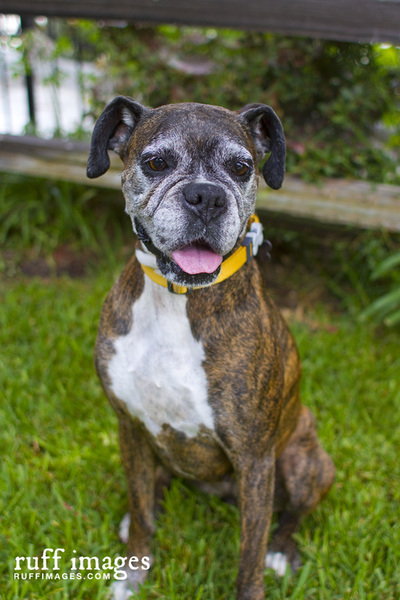 She had previously lived with a young Boxer girl, a cat and a turtle and is being fostered with a very active 2 ½ yr old Boxer girl. She loves to run and play with her foster sister, but is also content to lie at your feet. Her foster dad says she is the most polite dog he’s ever met. 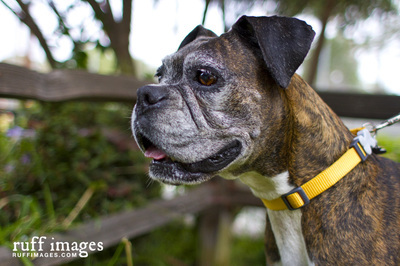 She fits in so well everywhere that it’s hard to say what her ideal family would look like. 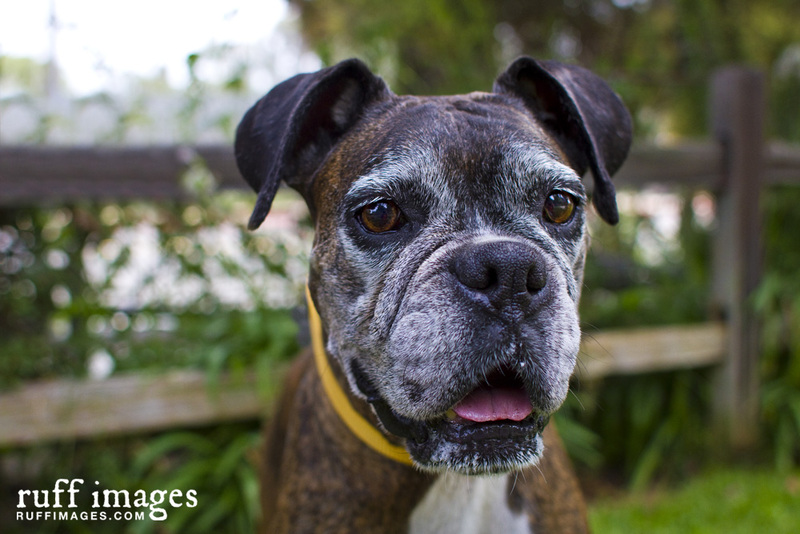 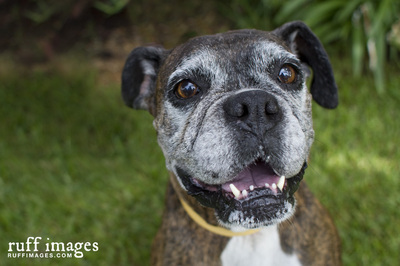 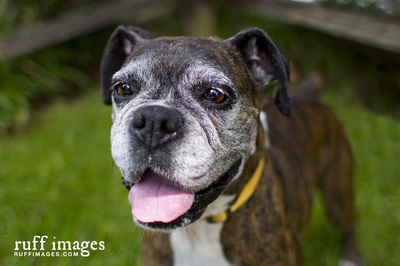 Annie would just as easily make a wonderful companion for a senior as she would help to complete an active family.